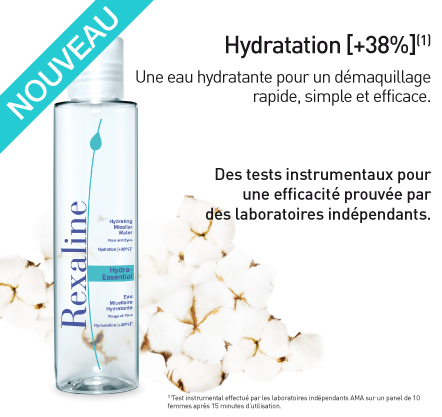 HYDRATING CLEANSERS FORMULATED UPON THE REXALINE COMPLEX ! Since your face is being assaulted daily, even when you are not wearing makeup, an essential step for maintaining and beautifying the skin is makeup removal. It removes impurities, pollutants and sebum, among other elements that blemish your epidermis, allowing you to combat dilated pores, the leading cause of spots. Makeup removal optimises skincare and helps avoid the signs of premature aging. More than just makeup removers – genuine care. “Tailored” products that respect and adapt themselves to every skin type. Sensorial textures, formula developed with the Rexaline Complex and its hyaluronic acid duo, and enriched with specific active ingredients.